More than halfway to its deadline, Gerber Collision’s parent company this month remained confident it will double in size from its 2015 level by 2020. But while the company has a “healthy pipeline” of acquisition targets and $400 million to buy them, the other piece of the puzzle — increased same-store sales growth — can’t be tapped to its full potential amid the industry tech shortage, according to the Boyd Group’s CEO. 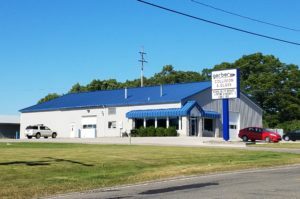 The publicly traded Boyd Group includes more than 400 Gerbers in the U.S. and more than 120 Boyd Autobody and Assured Automotive facilities in Canada, with the vast majority of its revenue coming from its U.S. collision, glass and roadside assistance businesss. Its earnings reports and analyst calls are a good source of information about industry trends and a good way to evaluate your own collision business balance sheet. Boyd Group CEO Brock Bulbuck wouldn’t on a recent earnings call provide an analyst an estimate of how many locations in the U.S. and Canada the company needed to buy each quarter to hit its revenue target. Instead, he proposed evaluating the company’s progress by considering that whatever proportion of the 15 percent sales growth doesn’t come from buying shops and their revenue needs to come from same-store sales. Same-store sales were up 4.9 percent, by nearly $21 million, for the first nine months of the year — but they could have been even higher, Bulbuck said on the Nov. 14 earnings call. A strong demand for the company’s services and good execution in August and September let the Boyd Group “meaningfully outpace” its former guidance for the third quarter, he said. The demand remains strong, but the company can’t fully capitalize on it, Bulbuck said. “Technician capacity is still a constraint for us,” Bulbuck said. The company has “too many” open positions still, he said. There are glimmers of progress. Same-store technician count has grown “modestly” in the U.S., but not at the level the company wanted, according to Bulbuck. The initial response to the company’s hike in employee benefits has been positive, and Bulbuck said this and other efforts would improve technician count. The company had planned to use half of its $11 million savings from the U.S. tax cuts on its techs. It increased vacation and holiday pay for technicians and other employees on commission and to double its 401(k) contributions while cutting vesting time. Bulbuck estimated this caused a 0.3-percentage-point impact on expenses as a percent of sales. If this analysis is correct, that’s something other collision repairers — from single-shop locations to other MSOs with hundreds of shops — can’t take lightly. It might be necessary to bump compensation or benefits to keep employees from defecting to Gerber or to convince a repairer to fill your vacancy instead of theirs. Chief Financial Officer “Pat” Pathipati said other industries were experiencing labor shortages too given low unemployment, but he was optimistic Boyd would solve the problem in the long-term. “That level has now increased again,” he said Nov. 14. The backlog was “likely at a record high but we can’t confirm that,” he said. Bulbuck said cycle time had deteriorated over the past couple of quarters, but the company had managed to improve it relative to the rest of the industry — the “positive gap” between it and the industry’s worse cycle time had grown. “I think we’re faring better than most,” Bulbuck said. Bulbuck said the technician shortage was similar in Canada, particularly in Ontario. He said it wasn’t as much of a problem in the western part of the county, where demand wasn’t as strong. In terms of growing revenue through shop count, Bulbuck said the Boyd Group had a “wide variety” of options, including “startup,” buying single shops and purchasing small to midsize MSOs. He said he didn’t think the valuations (how much the company has to pay to buy a shop) had changed materially. He said Boyd looks at a return on its investment of 25 percent a shop’s earnings before interest, depreciation, taxes and amortization, which he said works out to paying about 4 times a shop’s EBITDA. He said the upper end of Boyd’s range was the company’s purchase of Canadian collision repairer Assured Automotive and its dozens of shops. Bulbuck said he thought Boyd paid around 9.6x but because of unique tax benefits, the true expense worked out to be 8.3x.